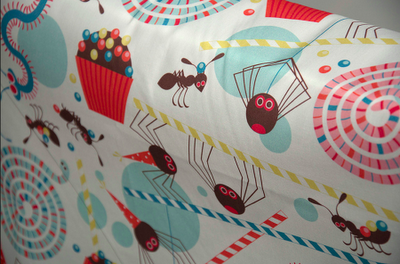 So delighted this week to be in the top ten fabrics at Spoonflower with my Creepy Crawly Party design. Below are a few extra co-ordinates. 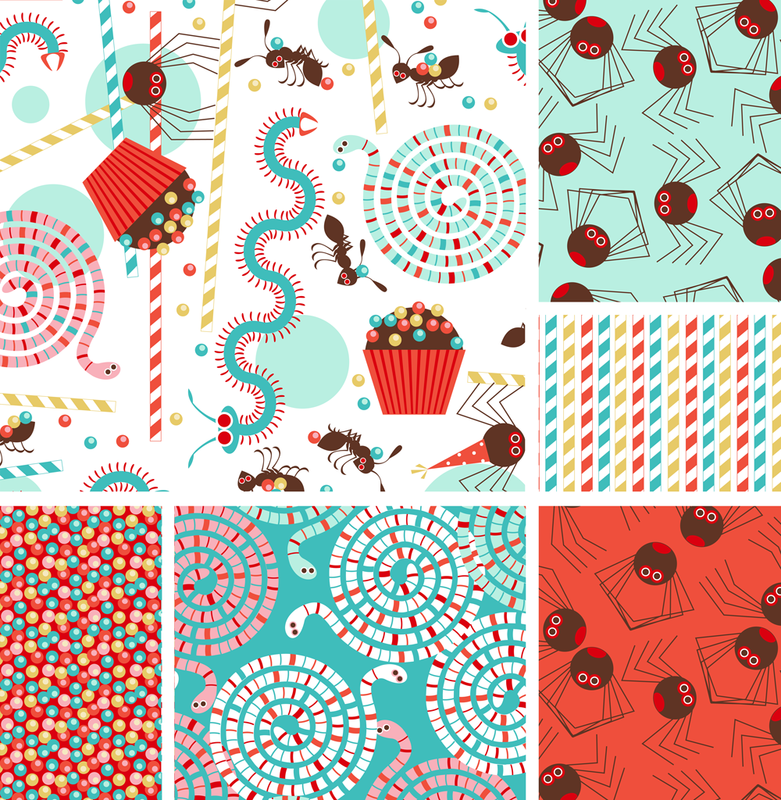 You can check out the winning design by Kayajoy and the rest of the top ten on the Spoonflower blog.